Dr. Alexey Root is a Lecturer at The University of Texas at Dallas and advisor for Chess Online. 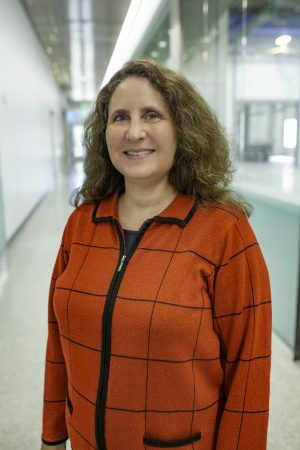 Root has been a tournament chess player since age 9 and won the U.S. women’s championship in 1989. QUESTION: You offer a two course program for educators teaching them how to incorporate Chess into their classroom curriculum. Why would K-12 teachers be well advised to do that in general? The courses, and my books, are aimed at educators of grades 3-8. But I have had educators of younger (pre-K through 2) and of high school students take my courses too. The courses will be valuable for educators looking for an inexpensive, time-efficient way to engage their students and teach them important subject matter concepts as well. More specifically your teaching indicates chess can be useful in developing students’ visual/spatial intelligence, reading, and math concepts. How? 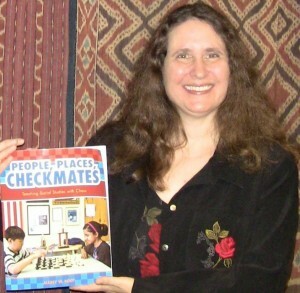 I answer these questions in my books Science, Math, Checkmate: 32 Chess Activities for Inquiry and Problem Solving (2006, Teacher Ideas Press) and Read, Write, Checkmate: Enrich Literacy with Chess Activities (2009, Teacher Ideas Press). We also explore these questions in depth throughout the courses. I’m worried that a brief answer here will be misleading to such an important question. In addition to building cognitive skills, do you think chess can be used in the classroom to raise social skills, and if yes, how? Chess playing requires cooperation. Players agree to follow the rules of the game and conventions of chess etiquette, such as the touch move rule (if you touch a chessman, you have to move it). There are also many cooperative projects that can be done with chess. For example, for Read, Write, Checkmate, my middle school students wrote and published a chess book. There’s a lot of talk about Flow in your descriptions. Can you elaborate for us how chess playing and practice would create flow and why the experiential immersion of flow is relevant for classroom teachers to understand? When did you become interested in chess? My dad taught me to play when I was five years old, and let me win for several years. Because he is not a tournament player, I was able to defeat him “for real” when I was nine years old. Then he took me to our local chess club in Lincoln, NE. Most tournaments in the United States are open events. That is, both males and females compete together for the same prizes. Around 10% of United States Chess Federation members under age 21 are female, and the percentage drops to around 3-4% for those over 21. These percentages are higher than when I began competing in 1975. Even today, though, when a female wins, the victory generates more attention than the same tournament victory by a male. On the other hand, it can be isolating to be the only female at a tournament. What was the biggest surprise to you about teaching online? proposed a chess program for a specific institution.